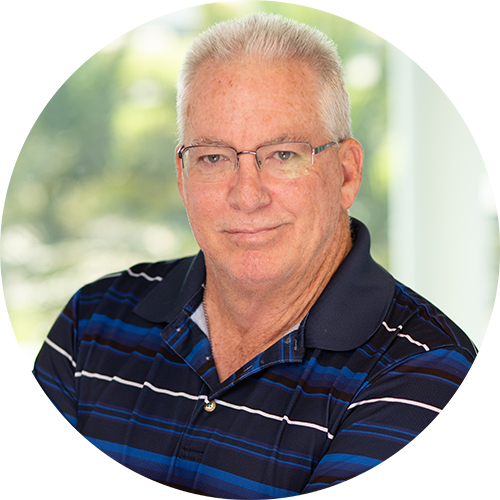 Chuck Dalton has more than 40 years of experience working in the semiconductor device and materials industry. As the BRIDG Senior Facilities Engineer, he is the in-house expert for HVAC, Chilled Water Plant, Boilers, CDA, Waste Water Treatment, Exhaust Treatment, and Process Gas and Chemical Systems. He is responsible for working with BRIDG equipment engineers on projects and tool installations. Dalton began his career in 1977 at Harris Semiconductor as a fab operator. During his 13 years with Harris, he held a variety of positions in both manufacturing and R&D, covering Thin Films, CVD, and Dry Etch. After Harris, Dalton accepted a role with Intel in Albuquerque, New Mexico, where he managed multiple Thin Film equipment installs and qualifications. He later joined Dow Corning’s Compound Semiconductor business unit to build out and start up development of SiC wafering and epi at their Auburn, Michigan location. After eight years with Dow Corning, Dalton transferred to the Hemlock Semiconductor business unit, where he managed the building, installation, and startup of additional bulk silicon growth reactor capacity for substrates and solar use. Dalton received his bachelor’s degree in Business Management from the University of Phoenix.